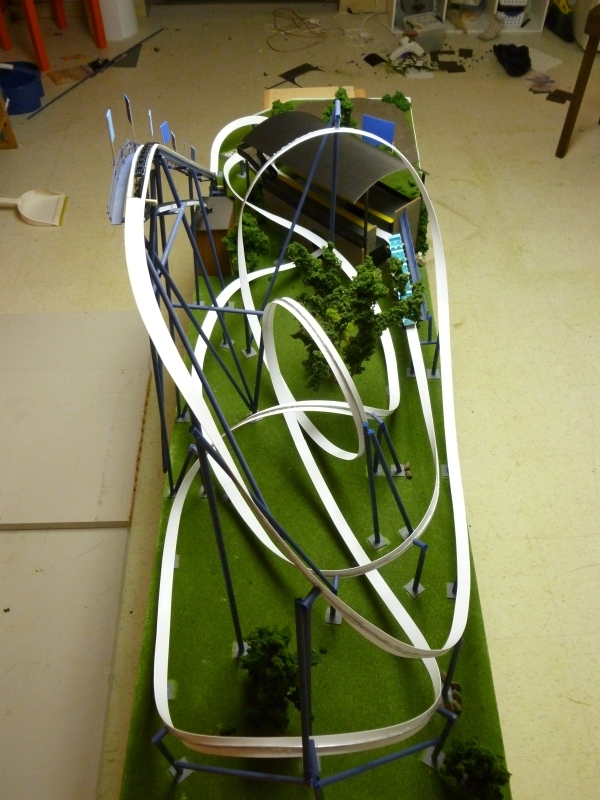 This model coaster features a curving first drop, 2 horseshoe turns, a vertical loop and corkscrew. 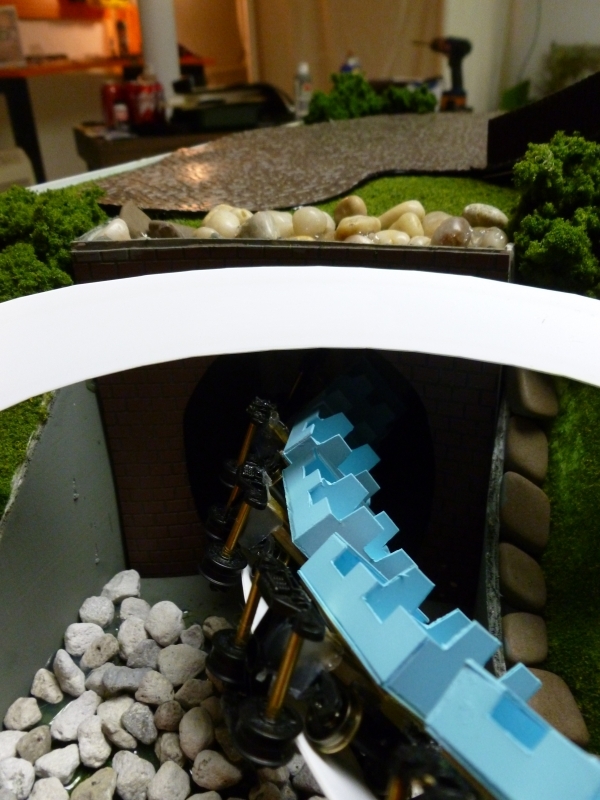 A high-speed S-curve station flyby leads into an underground tunnel that exits out of the foundation of the station. 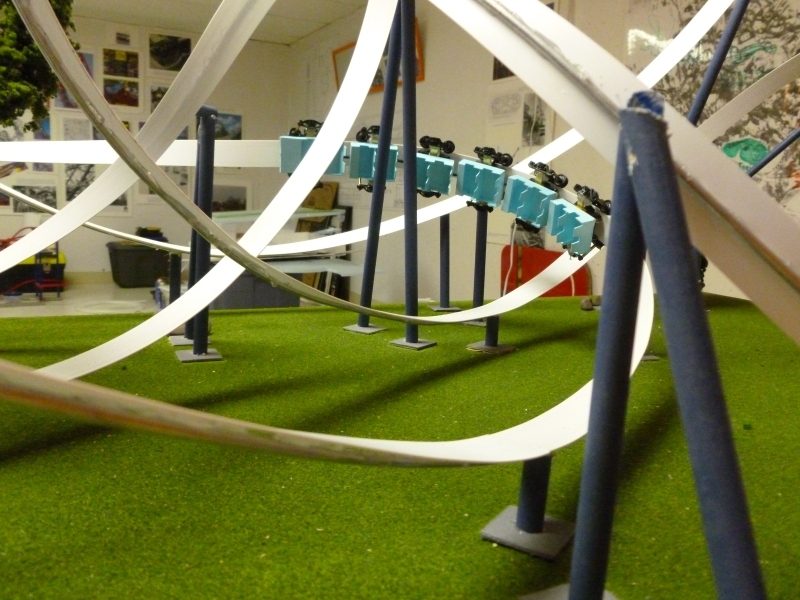 The finale is an over banked turn into the break run.